Eagles are unique birds. They are different from all other kinds of birds. They are birds that have the mind-set that there are spaces in the sky for all birds to fly. In fact, eagles do not fly, they soar. Eagles do not flap their wings like other birds; they spread their wings and soar. Why are eagles unique birds? Why are eagles studied? Why do other birds see eagles as role models? Why does man study the life and characteristics of an eagle? Why is the life of an eagle a great example for people to emulate? ð The eye- an eagle before/during its flight has already seen/envisioned its destination. An eagle sees far beyond the eyes of an ordinary bird. While an eagle is soaring it is always focused, however it looks around to observe what is happening around him. Eagles are extremely observant and focused when soaring. It mostly keeps its eyes on the prize (its destination). It is very difficult to distract an eagle when it is soaring. From the sky where an eagle is soaring, it can see a fish (its prey) down in the water or a rabbit (its prey) amongst others on the ground. An eagle never misses its prey cos it has already envisioned it, then it goes all in to achieve its target (its prey). ð Eagles have no fear- No matter how large an eagle’s prey is, it will surely go for it and ensures it returns victorious. 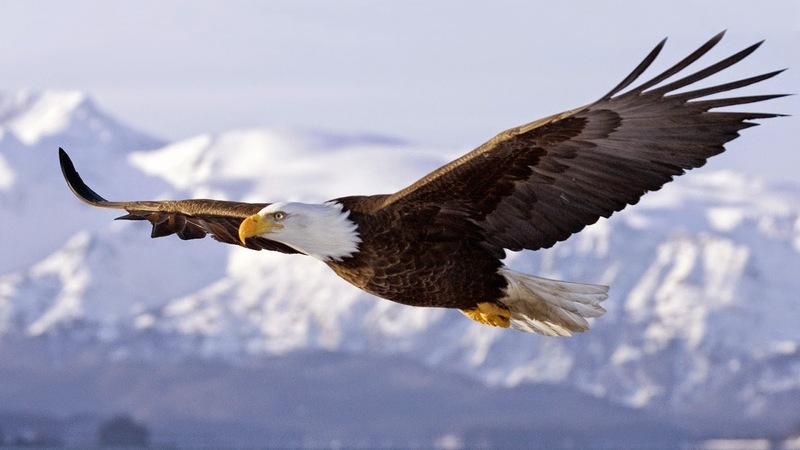 ð Eagles soars so high- They soar so high to the altitude of 10,000 feet. This is something other birds dare not do. When an eagle wants to land, no matter how high it has soared to, an eagle lands firmly on the ground/rock. ð Eagles are strong bird- There comes a time in the life of an eagle, when they are around the ages of 30, they begin to weaken in their body which leads them to start dying. Eagles never give up. They hide themselves at a mountaintop for a period of time and they begin to work on themselves. Step by step they begin to take away those things that are causing them to be weak. They begin to pluck out their feathers and talons. They also begin to knock out their beaks by hitting it against a rock. By doing this they are renewing themselves. What they have taken off begins to grow again causing them to live for an extra 30-40years. ð Eagles are not scavengers- Unlike other birds; eagles do not go for a meat/food that is already dead. Eagles do not settle for less. Eagles only go for the very best. ð Eagles care for their loved ones- No matter how strong, how fearless and focused an eagle is, it always returns back to take care of its younger ones or those it is in charge of by nurturing, feeding and grooming them. 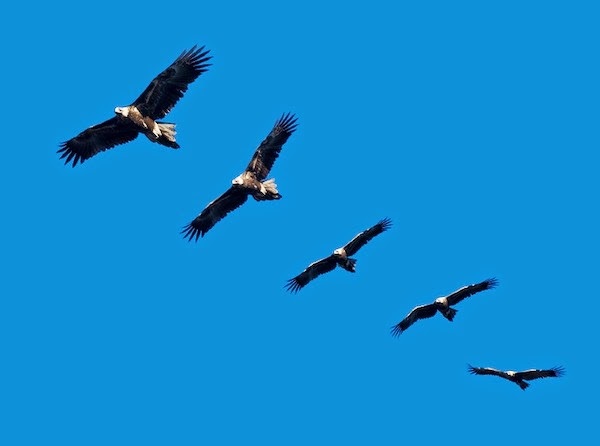 While soaring always bear in mind that eagles have no problem with others soaring, because they believe the sky is big enough for everyone to soar. Spread your wings and soar to the place where only eagle can be found.